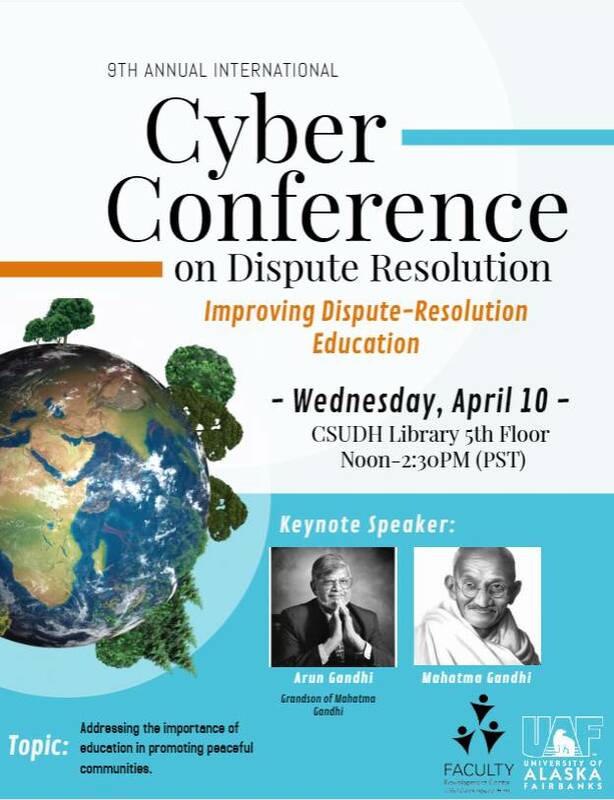 You are invited to our 9th annual International Cyber-Conference on Dispute Resolution, Wed. April 10, 2019 @ 12-2:30 pm (Pacific Coast Time). IPI advisors Polly Hyslop and Brett Lee Shelton will be presenting. For nearly a decade, the International Cyber-Conference, starting in Alaska, has been a global dialogue between students, Indigenous peacemakers, academics, and the larger community, serving as a communication tool for change-agents to continue building safer and healthier communities all over the world.